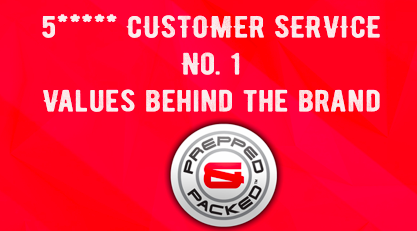 When we first created Prepped & Packed customer care and the personality of the brand was extremely high on our values and ethics. With the brand rapidly growing over the past 18 months absolutely nothing has changed. 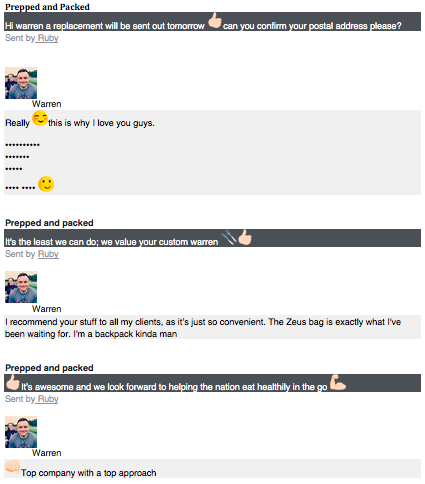 When investing in one of our bags we want to be with you every step of the way, no matter what your journey. The world of online shopping is 24-7 which is why we work hard around the clock to provide the best customer service out there. When looking at a number of business’s and brands it was an area that we strongly felt we could improve. Which is why we will always attempt to go above and beyond the cal of duty no matter what the situation. 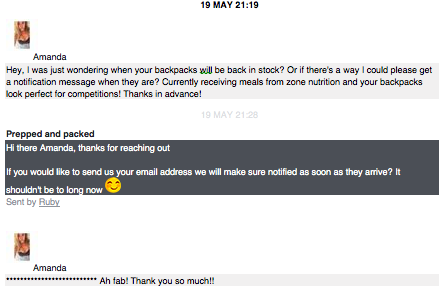 So if you do have any problems with your bag you can rest assured Prepped & Packed are always here to answer your questions or queries. Having great customer service is a standard that is extremely high and will always be high on our values, but this certainly isn’t possible without somebody with the same strong ethics as the brand. Ruby our customer service assistant works around the clock to help our customers around the world at all hours of the day. Ruby assuring future customers and taking care of their every need out of office hours. So from pre sale enquiries, detailed product information, bag warranty to trade enquiries we are always here to help and speak to you.